If anybody hasn’t seen its demonstration then goes and watches it for an amazing experience. In fact it is really sound as a futuristic. I am talking about 3D printing technology. The technology is capable of great outcome in development and performing quality applications. With the help of this you can bring your imagination in to reality with the help of 3D models. In fact, the 3D technology is a small step towards the evolution. The process of 3D printing or manufacturing is known as addictive manufacturing where you can obtain 3 dimensional solid objects from a digital model which can be have virtually any shaped. In obtaining such kinds of objctect, the industries such as manufacturing, architecture, construction have been using 3D technology for a longer time than other industries. Today, the technology is useful for many sectors such as fashion, jewelry, aerospace, science, and more. However, many people still not aware fully about the advantages of 3D technology. As the technology is considered as a future technology, it has several advantages over the traditional printing technology. Accuracy, speed and quality are the prominent features of the 3D printing. With these features you can create amazing designs and form quality 3D models. Also, for the businesses, 3D printing helps them to reduce their production cost by reducing human efforts. 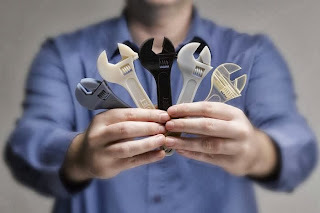 Especially, the business such as jewelry where the custom made product has great demand due to their quality and uniqueness, 3D printers help to create models that helps to make custom manufacturing effortless.